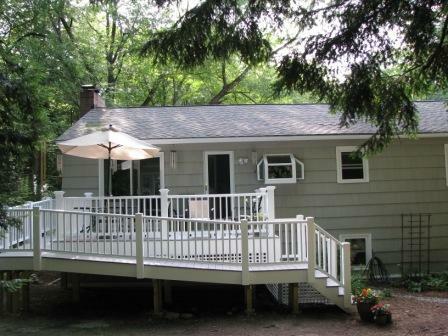 Adding a deck is an inexpensive way to expand your living space. 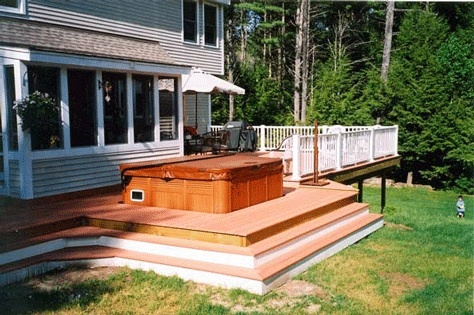 Building a custom deck is one of the all-time favorite ways to add great value to your home. Decks provide outdoor entertainment, they add value to your home and if you install a hot tub on the deck, well think of the possibilities. 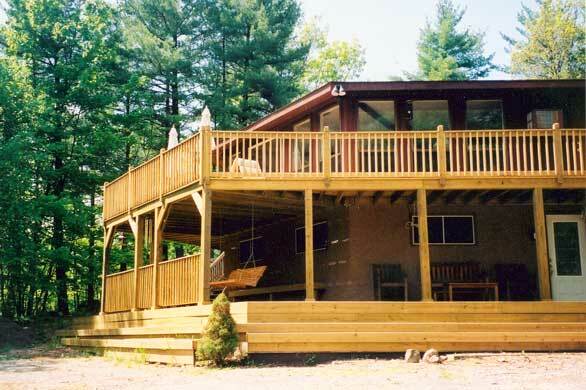 We build with wood products, pressure treated, mahogany, cedar, etc. We also build with maintenance free decking, composite decking which is a combination of wood and plastic and PVC decking which is an only man-made product. 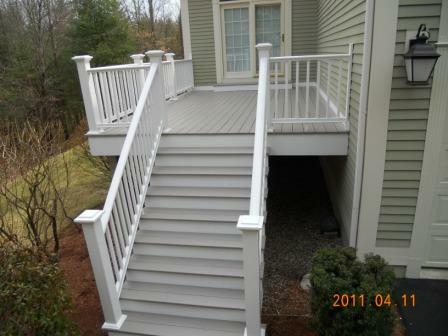 Azek Decking provides high quality PVC decking and railings that looks great now and for years to come. 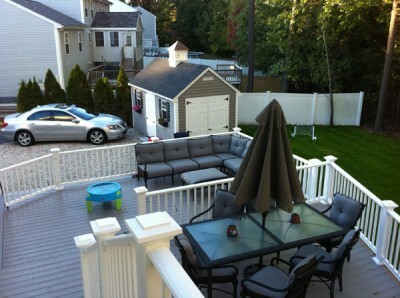 Their products provide a new category of low maintenance, split, scratch and stain resistant decking. 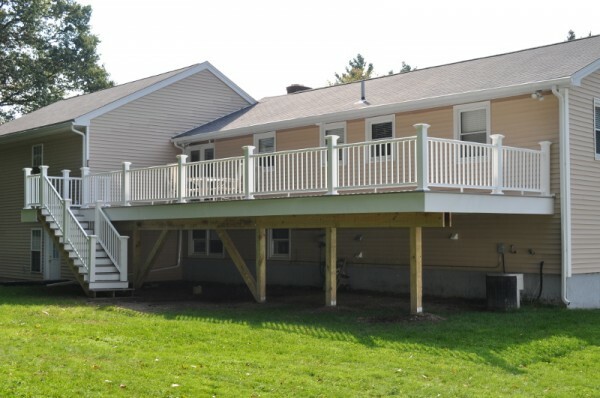 Give your deck a face lift and keep the cost of building down. 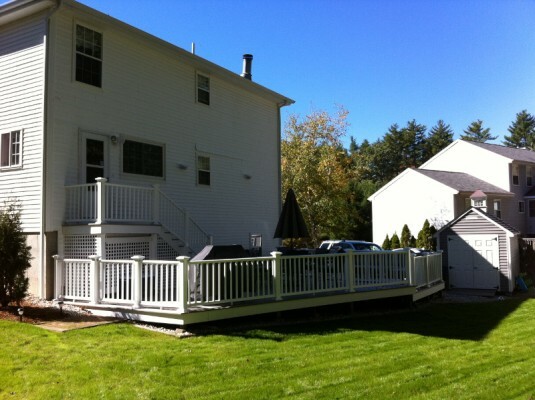 If you like the current size of your existing deck but hate the splintering wood decking we can remove the old decking and install new maintenance free decking and rails. Keep the cost down by not digging new footings and no framing needed!! 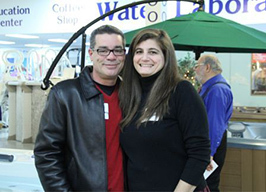 We can help you design your project or build a design by your architect.